The Wetlands Framework consists of spatial data representing the extent, type, and approximate location of wetlands, riparian areas, and deepwater habitats in Montana. The Wetlands theme dataset, with associated metadata, are provided in geodatabase version 9.3. Data are downloaded at a statewide scale. New data are added as individual wetland mapping project areas are completed. This data does not cover the entire state of Montana. For areas within Montana that do not have modern MTNHP mapping, please use the National Wetlands Inventory’s NWI Legacy (outdated mapping) and NWI Scalable (incomplete mapping) datasets. For more information regarding the different datasets, please refer to the help file. This web map service provides access to the MSDI Wetlands and Riparian Framework dataset. Included in this service are provisional and final wetland and riparian polygons, the wetland and riparian mapping program status map, and the National Wetlands Inventory’s (NWI) Legacy (outdated mapping) and Scalable (incomplete mapping) datasets. For more information regarding the different datasets, please refer to the help file. 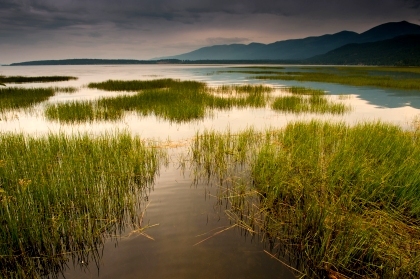 The Wetlands Framework is a detailed digital map of wetlands and riparian areas in Montana. Users include federal, state, and local government agencies, including conservation districts and watershed groups; hunters, birdwatchers, and anglers; consultants, planners, and stakeholders involved in land development; restoration and mitigation practitioners, including federal, tribal, state, local, and non-governmental organizations, and land trusts and other organizations.